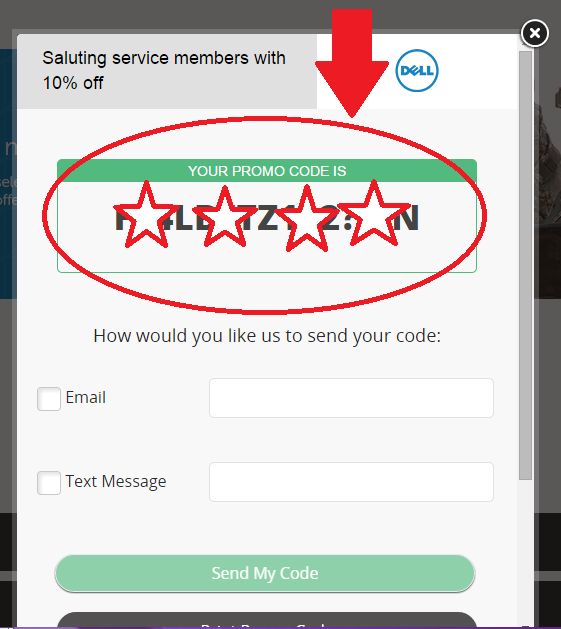 If you are looking for a new computer it may be smart to check out Dell's Military Discount. This discount is available to all military including Veterans. The discount is 10% off all computers and tablets!! 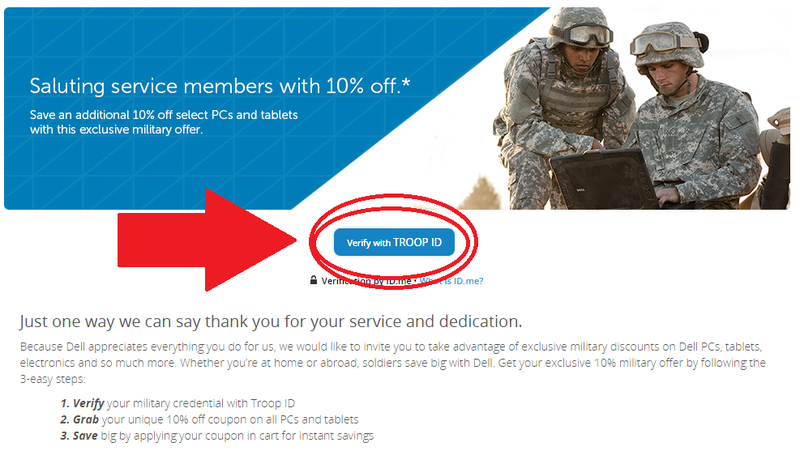 3rd Step - After being "verified" by TroopID you will receive your unique 10% off code which you can write down or have emailed or texted to you to use at a later time. 4th Step - Go to Dell.com and find the computer or tablet of your dream. 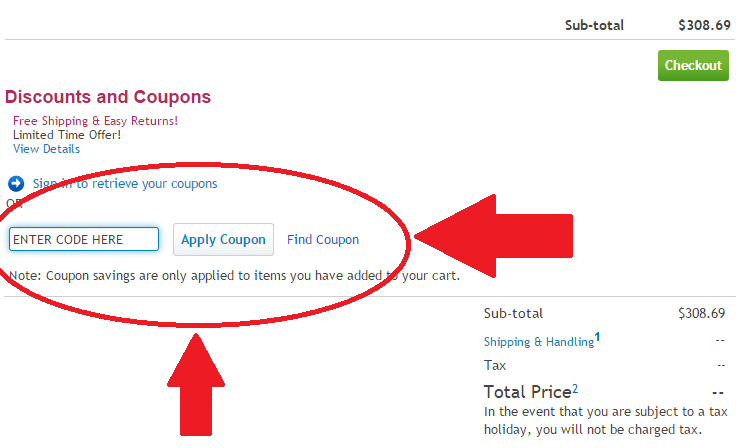 At checkout enter the code in the "Apply Coupon" section. 5th Step - Enjoy your 10% off Military Discount and tell your friends also! I did some research and found some of Dell's BEST DEALS. Some of these laptops and tablets are already 30% off so with the additional 10% you are looking at 40% off!!!! Winter Clearance Event! 30% off the Inspiron 20 3000 Series all-in-one desktop with AMD E1 2500 processor, 4GB memory, 500GB hard drive & Win 8.1 for just $349.99! Free shipping! Winter Clearance Event! 30% off the Inspiron Small Desktop 3000 Series with Intel Core i3 processor, 4GB memory, 1TB hard drive & Windows 8.1 for just $379.99! Free shipping! One more thing...you can also buy discounted Dell gift cards online. They usually go for over 10% off so this would save you over 20% off combined with the military discount. I like to use giftcardgranny to compare different sites.